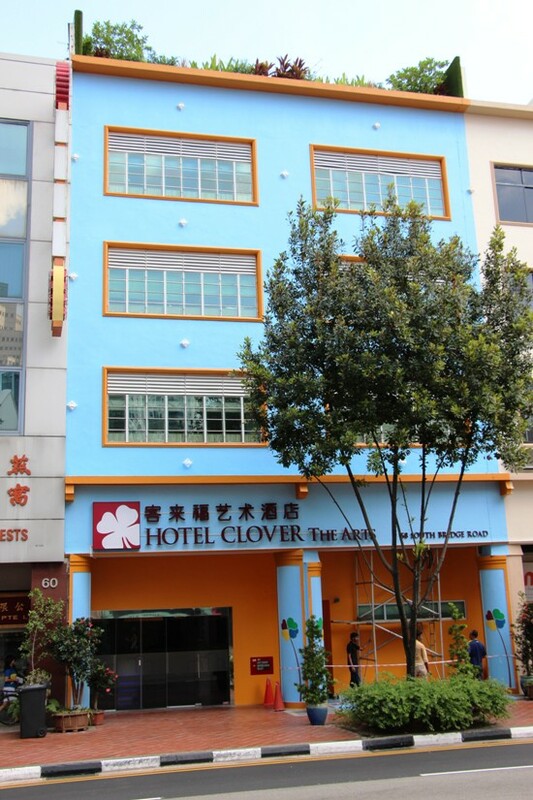 Hotel Clover The Arts is a great choice for top-range travellers seeking some peace but wanting to remain within striking distance of Clarke Quay’s watering holes and the bustle of Chinatown. The third of the simple yet luxurious Hotel Clovers hotels, The Arts takes up a six-storey building that offers 44 guest rooms. Ad Book now! 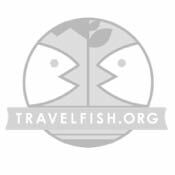 Rates from US$90++. Average rating 7.7 from 513 reviews. The lobby hints at the art to come in the rest of the building. Two designer armchairs are front and centre while a multicoloured skyline of Singapore decorates the wall. 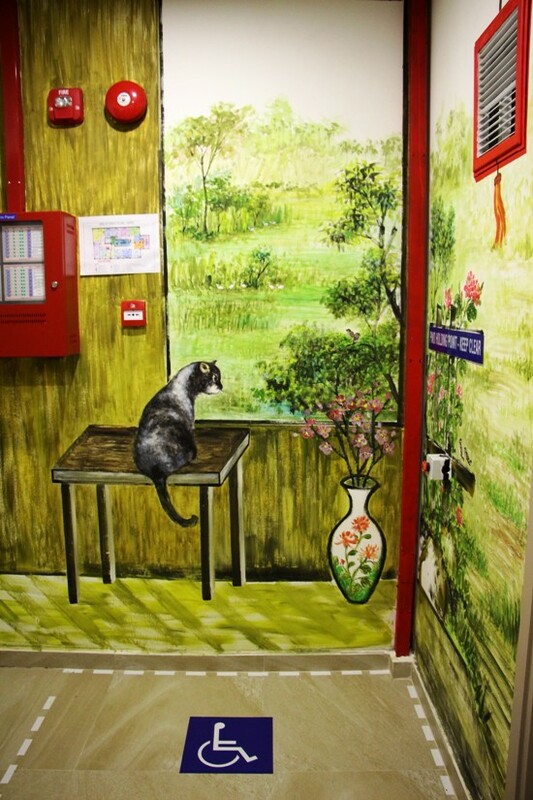 Inside the lifts, paintings of vacation paradises far away adorn the walls. 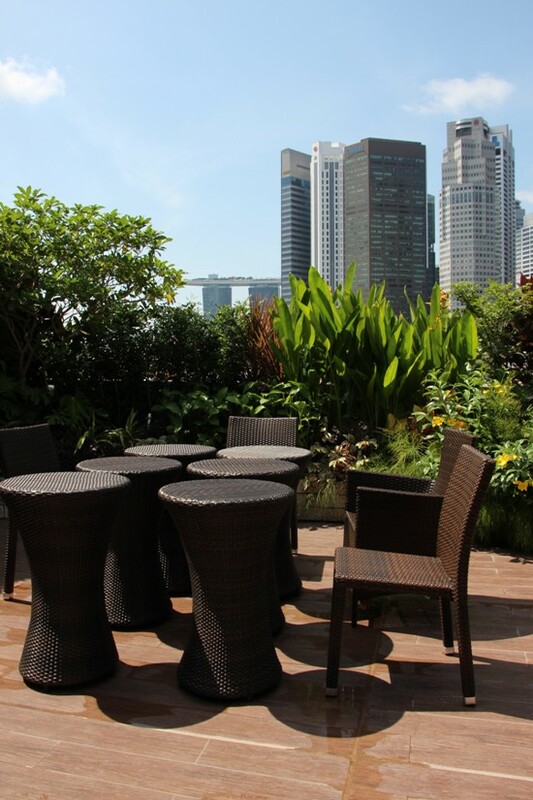 A pleasant roof garden lures those seeking a suntanning spot, complete with green spaces along with a good view of the CBD skyline. 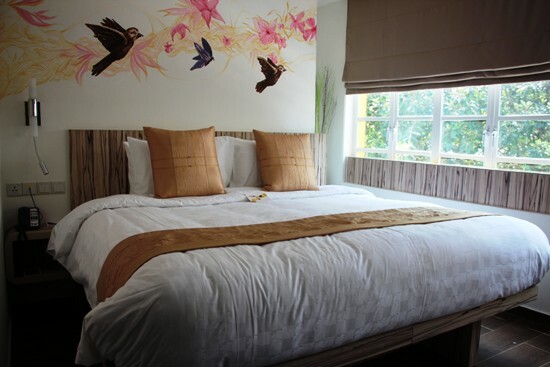 As with many other shophouse hotels with limited space, there are no other facilities. What the hotel does have, however, is art in spades. A jungle mural is splashed on the back of the building and reflects the hotel’s efforts to present professional artists but young talent has also been nurtured here, with 19 rooms featuring commissioned art by local students. We liked the panda-themed room ourselves. I spy with my little eye — what’s that landmark in the distance to the left? Aside from the arty feel, the comfort of the rooms makes up for any lack of amenities. Take your pick from six room categories, each with different wall paintings based on urban street art to manga-inspired creations. While all rooms come with coffee and tea making facilities, the lower tiered superiors and studios don’t come with Nespresso machines. Also note that superior and deluxe rooms do not have windows. A superior single can start from S$133, while a studio queen with a view costs $170. Deluxe rooms come with queen or two single beds and cost about S$200 and above. The family room starts at S$260 and has one single and one queen bed. The Arts King offers a king-sized bed along with pleasant views and costs from S$300 up. The rooms come with showers and not bathtubs thanks to the cosy size of the building. Also note that the shower door is translucent so if you are traveling with someone, consider whether you’d prefer separate rooms. Pandas and birds in the room — and now a cat. It’s a veritable Noah’s ark! Hotel Clover The Arts is ideal for those who appreciate the visual arts – do some research ahead of time to find the room that best fits your tastes. A word of warning: make sure you get the right Hotel Clover, as the chain is consistent in their branding. The others are on adjacent Hong Kong Street and at North Bridge, near the Arab quarter.